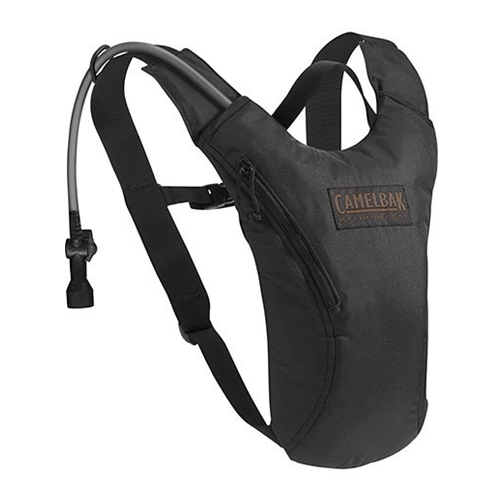 The Camelbak HydroBak 50 oz pack length is a mere 13 inches. The advanced ergonomic styling features a sleeve with an over-the-shoulder tube routing. This is an excellent choice for single-track and road excursions, but the clean profile adapts well to a range of other activities. Redesigned, ultra-durable Omega Reservoir. Five-point Bungee Cinch System for exterior storage potential. Big Bite Valve. Ergo HydroLock shut off valve. Leakproof screw cap closure. Insulated reservoir. Breathable mesh harness. Reservoir access through exterior Water Hole. Reflective accents for visibility in low light conditions. 50 oz. (1.5 l.) capacity. More than just a reservoir, the Mil Spec Antidote™ Reservoir redefines the ultimate delivery system for an operator’s water supply and provides maximum adaptability for changing missions or combat environments. Includes our QL HydroLock™ Bite Valve Adapter: tube clicks off for faster refilling with auto shut-off; new Fillport: industry’s largest opening with air-light ¼ turn open/close for quick, secure seal that can’t be over-tightened; lighter-weight, lower-profile design.